Since Pinet wanted me to, here's my first custom level. No screenshots 'cause I'm lazy. http://kuribo64.net/get.php?id=Pe0ymN0w51XRxM5U Just fixed a few things. You won my special star. Hi i can post here a video of playing my own normal level? 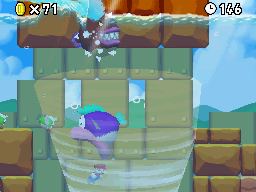 I don't have NSMB DS. So why rvlution is under maintenance? Why do you ban me in Kuribo64? If i delete the page of my sig? Also your signature are links to Kuribo SMSRealm and Kafuka. Your level is not bad. 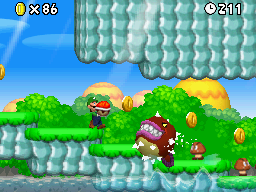 But, this thread is specific to NSMB DS and not NSMB Wii, I belive. 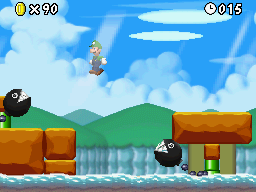 I saw, however, your level can be perfectly remixed to NSMB DS patterns. For this "dense member" does not leave this forum with empty hands, and does not have a bad impression of us, here is a downgrade of your level for DS. I will call this course a "F. Dense Level". Ah, um, well, I do think that Staple meant that he should've posted it in General ROM Hacking, since the single levels thread is for NSMBDS. 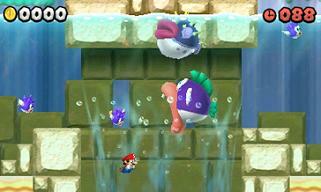 NSMB Editor: Bilada's Beach Single Level. 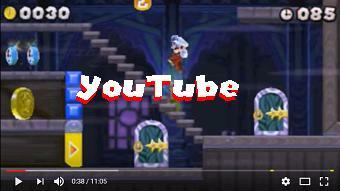 Here I share another simple level fo the members. 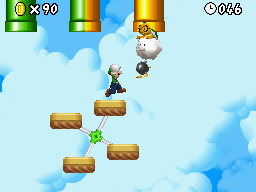 Uses the standard NSMB editor with default tilesets. 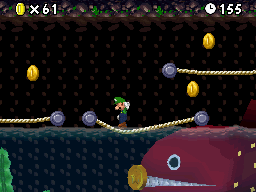 As is know, the NSMB2 for 3DS have some very interesting download extra content, for a few buckets. 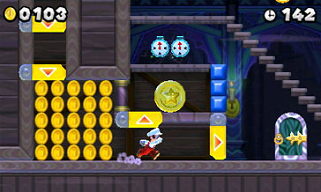 One of them is the Coin Challenge Pack B. I always had the curiosity to know how level 1 of this pack would be in this NSMB version. 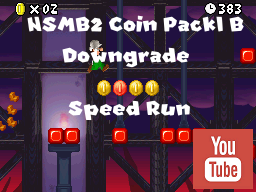 Because this, here I share for the community a downgrade of the NSMB2 Coin Challenge Pack B, Level 1 (Haunted House). Pics: The NSMB2 Coin Pack B and the NSMB downgrade. 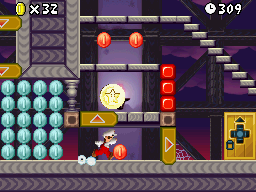 The level uses 3 area slots. 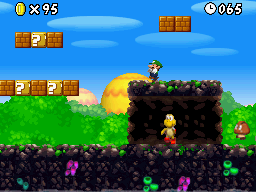 There is two versions of the level. 1. 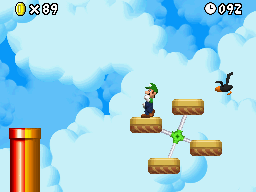 Using the Mario Master's Particle Spawner ASM Hack. 2. Normal compatibility to standard NSMBe compilation. 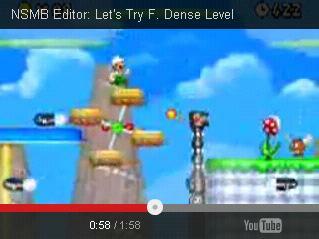 If you want to spice the level, here is edited foreground for import, showed in the video. 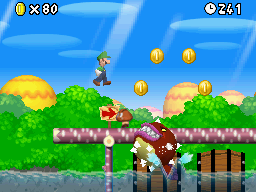 Keep going with this post, NSMB2 for 3DS have severeal packs for download. For less than 3 coins of $1 the players can get the Impossible Pack with three full levels. 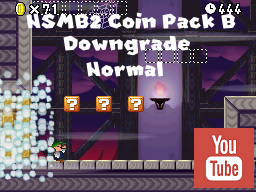 Here I share for the community a downgrade remixed of the first level of this pack for NSMB version. Pics: The NSMB2 Impossible Pack and the NSMB downgrade. 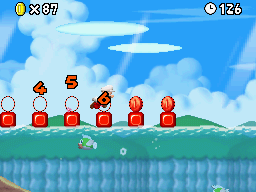 The level uses 3 area slots. The content shared in this post is free for use, modify and spreed like you want. 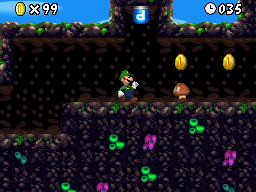 The levels were recently included as part of tower 1 on MSMB2 Bralloween Mini-Hack, too. I changed up W7-castle's tileset and re-decorated, i was just waiting for MeroMero for the BG to get fixed (the tileset uses tile sharing so if the BG is fixed, the glitched tiles in the tileset are fixed too), but he hasn't come online for a long time so i decided "screw it i'll just post this right now just for lols"
EDIT: Fixed level up a bit. 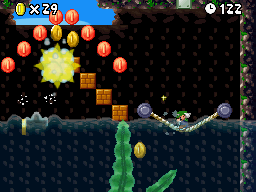 Here is a level I had originally made for the level W1-1 for the NSMB Community Remix (Before finding out the project was "sleeping"). It's my very first NSMB level, so I hope it's good! UPDATE: Here's a video of the level!